You can undeploy multiple Data Services at once. Select the .rjob files or directories in Navigator. 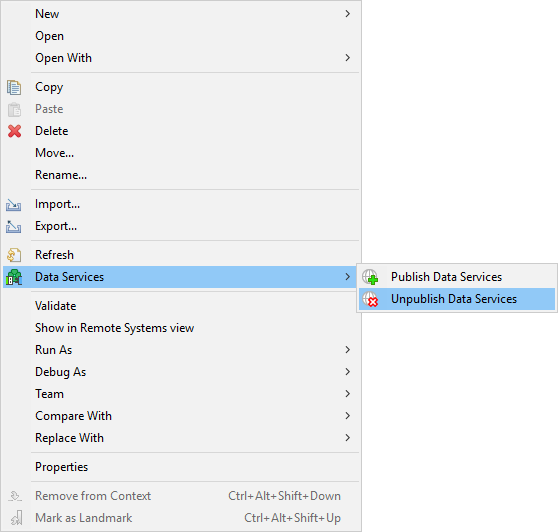 Right click to open the context menu and select Data Services → Unpublish Data Services. This option is available only in Server projects. It is not available in local projects. You can unpublish only Data Services from one sandbox at once.